The N.W. Faison House, one of the oldest in Fayette County, boasts original furnishings of the wealthy Faison family, whose members occupied the home for nearly 90 years. Relatively unaltered since its construction in the mid-19th century, it was the home of one of the earliest settlers of the area, Nathaniel W. Faison (1817-1870), a military hero, land baron, and benefactor of the African American community after emancipation. 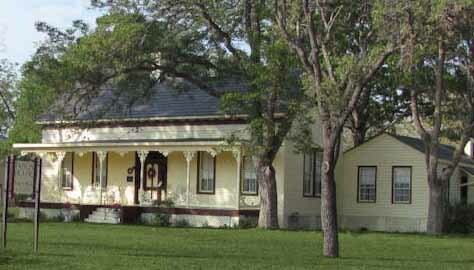 The structure is recognized at the state level of social significance because it is one of the first few residences in Texas to be solely owned by an African-American freedwoman, Louisiana Brown (1819-? ), to whom Faison deeded the home in 1870.